Here is a great little set of worksheets for practice with addition and subtractions facts. Solve the facts, and read the color words to create your picture. 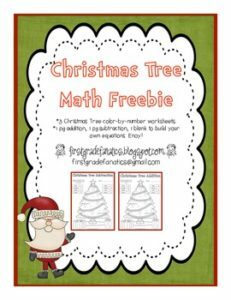 Great for a little holiday math practice. A blank master is included for you to create your own facts.